Today is the 15th and it's time to announce the theme of this month's spotlight. Last 2-3 episodes of spotlight was successfully hosted by my sister, Chandrani of Cuisine Delights. this month she is on vacation, so I'm taking over this month. What should be the theme of this month? I was thinking for quite some days about it and finally found one. During summer days, I loose my appetite, does this happen to you,too? what I only crave for, is something cool, something thrist-quenching. I think this happens to everyone in summer. So, the theme of this month's Spotlight is Summer Cooler : Thanda Thanda, Cool Cool. What comes under summer cooler : Anything that cools our body, like, cool juices, drinks, cocktails, mocktails, shakes, smoothies, lassies, ice-creams, sorbets, frozen yogurts and anything that you can think of. Prepare something that comes under Summer Cooler or anything that you can think of makes us cool during summer. Post it in your blog from May 15th to June 15th and link them to this announcement link. You can send multiple entries. Archived entries are allowed if they are reposted with the link to this announcement page. The use of logo is mandatory as it helps spread the word about the event. Non-bloggers can also send their recipes to the email below. Image : no larger than 300 pixels. wow v nice event dear....nice for the start of summer! Hi Indrani I have added my recipe of Kokam kadhi. Do try it. 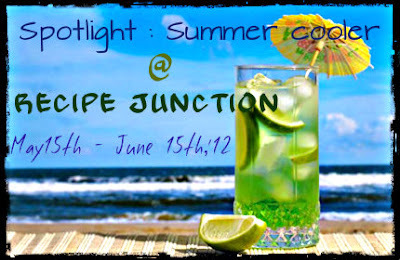 First time visitor to your blog & happened to see this summer cooler event happening. Enthusiastic to participate. Submitted two summer cooler (Aam Panna & Strawberry lemonade) This is my first time into an event - have added this link & your logo to both. Let me know if I am missing anything. 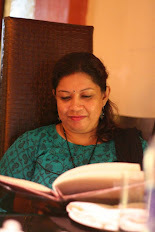 HI Indrani.. nice blog n nice summer event.. will post an entry soon..
Hi Indrani,linking my post.Happy to join with you.Do visit my space in your time. Thanks for hosting the event. I am interested to see all the entries. I hope you like mine: Rhubarb Strawberry Smoothie. Excellent collection of Cocktail recipes and these are very simple to prepare at home. Thanks for sharing.